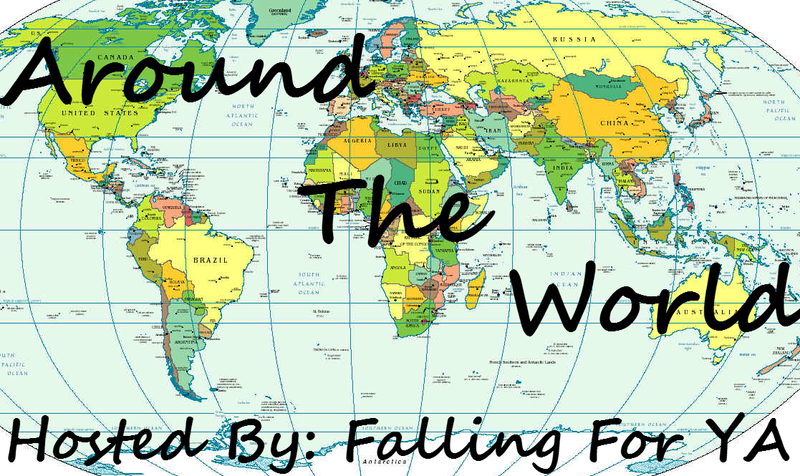 Welcome to Around The World! 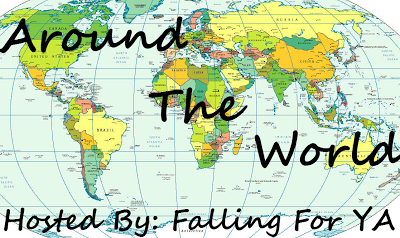 On Friday I feature a Blogger, Author or Publisher and ask questions about the country or state they are from and what it is like to be a member of the book world there! If you are interested in being featured please sign up here. This week on the blog I have Angie from Angela's Anxious Life! I am from Lovely Colorado Springs, Colorado! I love it here. This is my most favorite state. What is the best and worst thing about living in the US? Oh wow… well I live in America. I love this country.. I think some of the best things here are just all the places to visit. There is such a variety of different landscapes in all the states. Some states are by oceans, some have mountains, some states have deserts and others forests. There really is just a huge variety of places to go. What I don’t like about this country… hummm. Well I have pretty much been a military brat my whole life. My dad was in the military and my husband. Since we have been in the military we move a lot and don’t always live by family. So the one thing I don’t like is that sometimes I have to live across the country from someone I love. Driving from one coast to another is not a day’s drive. What is the biggest challenge of being a book blogger in Colorado? 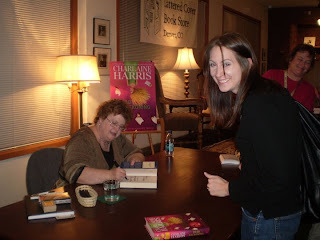 Are you able to go to book signings, launches, or industry events? I am able to go to book signings. I go to a lot of the ones that travel though Colorado. I actually just bought tickets to go see Stephen King in September!! Those tickets were hard to score. You will have to stop by my blog in September if you want to see pictures and a recap from the event! Are Publishers willing to work with you were you live? I am actually not a writer, only a reader. So to be honest I have no idea!! I also don’t request any ARCs or books from publishers. I like to read what I want when I want so I don’t really want any ARCs to feel the pressure to review by a certain time. Do you have any favorite books set in the country you are from or written by authors who are from the country you are from? As most of you know… the United States has a huge amount of authors. There are so many to choose from. 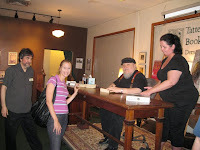 I love Stephen King, Janet Evanovich, Charlaine Harris, George RR Martin, and many more. Like I said before… since the US is so large they don’t always have book signings where I live. As I understand it, it depends on where the publishers send them. Favorite Book Recent Release: Hummm… Well I don’t have a favorite recent release. I am looking forward to reading Siege and Storm just waiting for it from the library. Author: Stephen King.. hands down. Social Media: I use Facebook, and Twitter the most. I also use goodreads all the time. I am the moderator of two groups on there. Stephen King Fans as the name suggests, is a fan group for my favorite author, Stephen King. This group is full of intelligent, fun and active Constant Readers, and discussions regarding King's books are always interesting and thought provoking. YA Book Club is also a group I moderate. Welcome to everyone who is interested in YA books! Each month we read a book and discuss it with the group! International Food: I just love love love food. I love sushi. I recently tried Indian food and loved it too! I feel the need to say hi Angie, just because I am also another Angie whose favorite book is The Catcher in the Rye and I feel like we are a rare breed. Thanks so much for featuring me this week. It's great to see all the Colorado love!! Emily.. you must read King!!! You will love it! Love Angie so this was fun to read. I didn't know you were a foodie Angie, and I live about about 8 hrs from Colorado. I loved this interview and always enjoy getting to know blogger friends better! What a great interview! I am such a fan of sushi myself, and my 10 year old loves it as well :D I can't make it to many signings or events. I would really like to go to the big events, but it will take a lot of cash for me to go one day because they are really far away from me in Texas. My sister is actually the Stephen King lover in the family. She used to make me watch all the movies as a child, and I'll admit to being terrified at such a young age that I won't read any horror novels or mystery novels now. I don't know if I've met a blogger that doesn't read ARCs, but I love it. I read very few review requests and ARCs because I want to stick with reading books I enjoy. I love learning more about you Angela! Thanks for sharing, Emily :D Jaclyn @ JC's Book Haven. Great interview! Totally love Sushi as well! Loved getting to know a bit more about you Angie. I love Stephen King movies but I have yet to read any of the books. Misery is on my must-read-someday list of books though.